Duchess and her three kittens are about to heritage a fortune from her owner. After they die, the fortune shall pass onto her butler. But the butler does not want to wait for the cats to wait, and starts planning to kill them as soon as the owner dies. The butler takes the cats to the countryside and leaves them there under the influence of drugs. The next day, Duchess meets an alley cat that is willing to help them to get into the city. 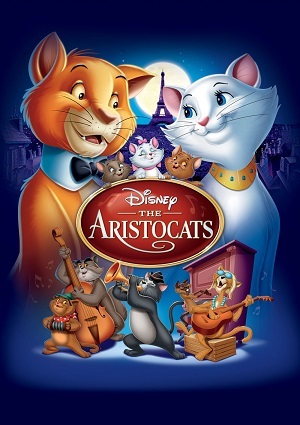 On their way there, they also meet a group of eccentric cats that love to play music and that call themselves the Aristocats.